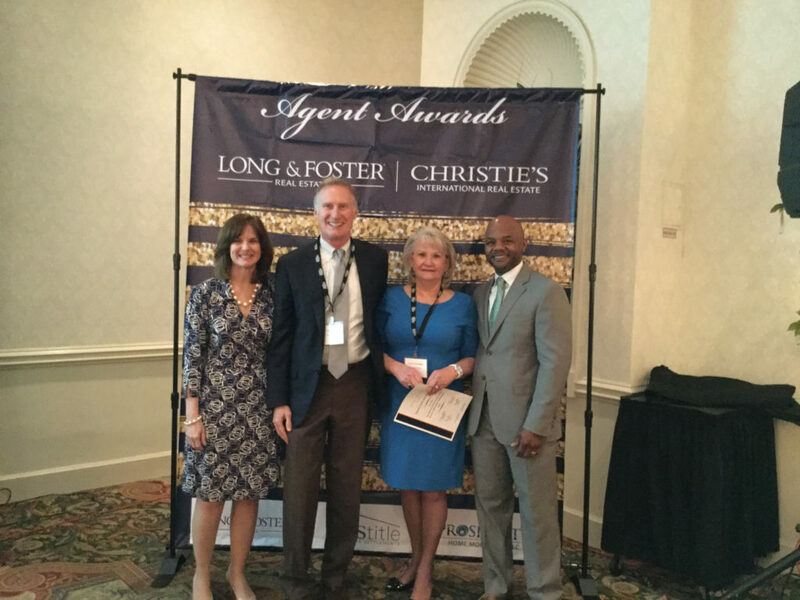 On April 5th, Long & Foster held their annual awards ceremony at the Waterford at Fair Oaks. The awards were for the Northern Virginia/West Virginia division. Tom & Cindy and Associates was recognized for their achievements in 2016. The team sold 307 homes for a sales volume of over $142,000,000. Here Tom and Cindy were with Karen Kidwell and Dontae Carroll of Long & Foster’s executive team. Are you considering selling this year? Or perhaps you are thinking about buying your first home? Whatever your real estate goals are, we’d be happy to help you!